Due to the advantages of aluminum forging, anyone working in the forging industry knows that use of aluminum forging is growing. Even with fluctuating prices, the demand of aluminum forgings is still much stronger compared to steel forgings and copper forgings. To save costs, lots of foreign buyers are happy to make aluminum forgings in China. We all know that a reliable supplier can not only help to supply good quality products, but also save costs for you. Then, how to choose a good aluminum forging supplier in China? Before you place your first order to a new aluminum forging supplier in China, you need to be very careful for the choice you make, which Chinese manufacturer you should go? There are terrible stories, consequence of wrong choices made, that I heard more than once from my friends from west. As a local Chinese aluminum forging company, I would like to share some guidelines with you. 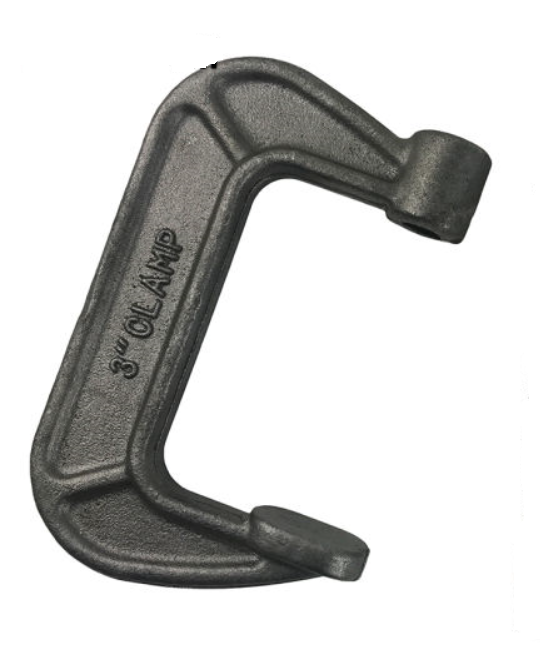 Forging of C Clamps can be strong and durable enough, they are always produced in forged steel. Buying forged steel C Clamps in China can help our customers to achieve competitive prices in the market, which is really a wise choice. The drop forging process creates c clamps that are stronger than those manufactured by any other metalworking process. Drop forging takes advantage of the metal’s natural grain flow, shaping the grain flow to conform to the contours of each c clamp’s unique geometry. This grain flow contouring is lost when cutting through the grain by machining it and is also lost when casting parts. Forged steel c clamps can be nearly any shape, which reduces the need for extra machining. CFS Forge is the premier forged steel c clamps provider. Operating out of six production lines in china, one of our greatest strengths is in the diversity of solutions we offer. The types of forged steel c clamps we produce can be in different sizes, ranging from 0.5kg up to 10kgs. Located in Ningbo, China, we have cooperated shipping company to deliver goods to our customers. Together with value added services, allowing us to stay competitive and directly supply finished product to our customers. Among all the metalworking processes, forging is the most ideal method to produce Brass Valve, Pipe or Plumbing Fittings. Several advantages are given with forging, for example, by forging, the brass material will be pressed and the grain struction will be improved, which will make the strength of Valve, Pipe or Plumbing Fittings much better. Besides, due to the large demands of Valve, Pipe or Plumbing Fittings, the order quantity is large. The production efficiency of forging is much higher than casting, which will shorten the lead time under the basis of high quality. Next, precision forging can give a close tolerance, which can reduce further machining and save cost. Lastly, the forging cost is also lower than casting in the long term. So, forging is always preferred by our customers. However, forging is not omnipotent, it has limitation on the shape of Brass Valve, Pipe or Plumbing Fittings. And for some areas with close tolerances or threaded holes, extra machining is required. 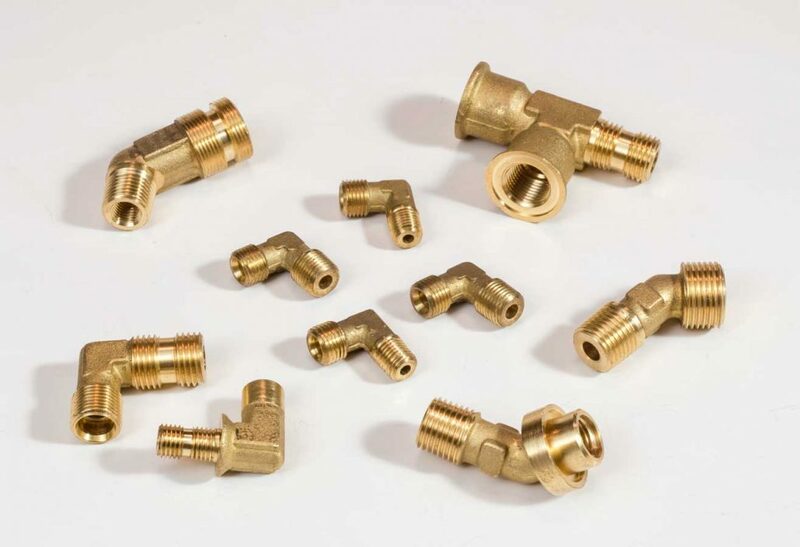 Machining is a processing process that will remove the excess brass materia of Brass Valve, Pipe or Plumbing Fittings. When there is a high requirement on surface finish (such as Ra3.2 or Ra1.6), or closer tolerance that far from general forging tolerance, or thread holes, we can only meet by machining. CFS Forge has full set of machining equipments in house. With skilled machining capacility, our customers can enjoy shorter lead time and less production cost. Of course, besides forging & machining, we can also supply various surface treatment requirements, such as shot blasting, sand blasting, electroplating, polishing, ect. Forging is a manufacturing process where metal is pressed under great pressure to produce high-strength parts. Aluminum Forging is ideal for applications where performance and safety are critical but a lighter-weight metal is needed for speed or energy efficiency. Common aluminum forging alloys include: 6061, 6063, 7075, ect. Aluminum casting is a simple, inexpensive and versatile way of forming aluminum into a wide array of products. 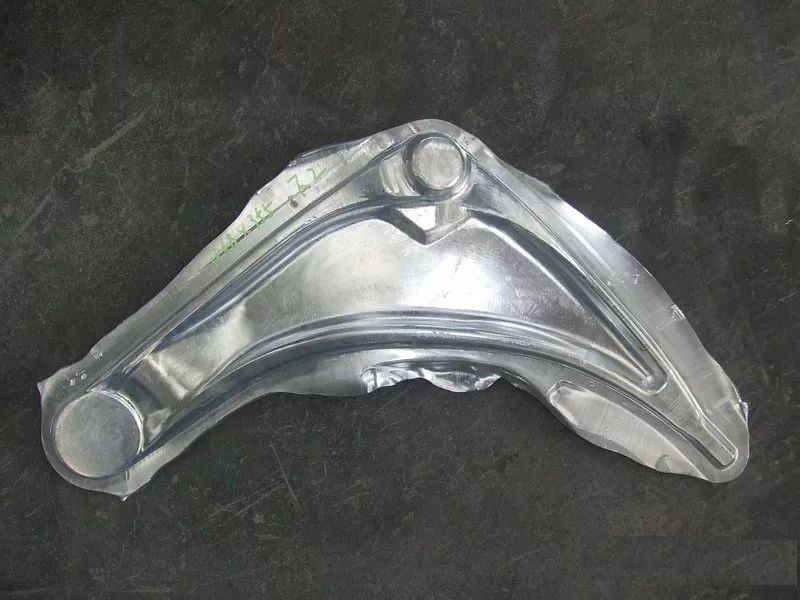 There are several methods of aluminum castings, including die casting, gravity casting and sand casting. 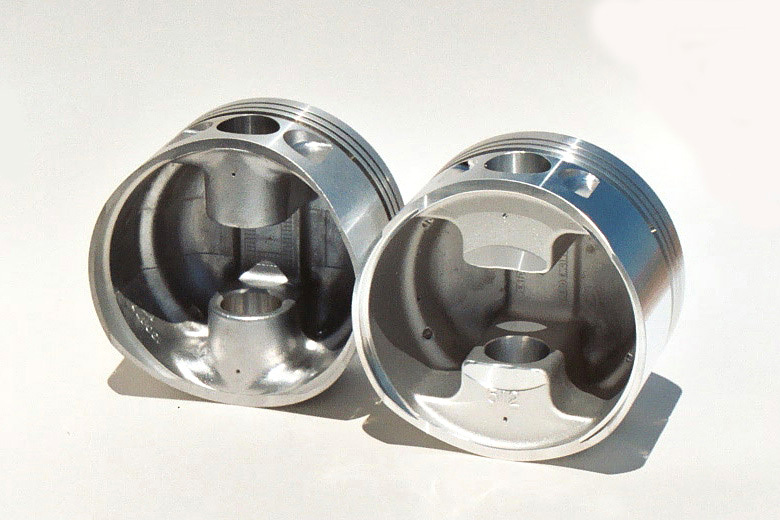 Common aluminum casting alloys include: A356, A380, ect. What Causes Prices of Drop Forgings Increasing? Drop forging is a type of forging. It is used when a large quantity of certain components with sound and good quality forgings are to be produced. 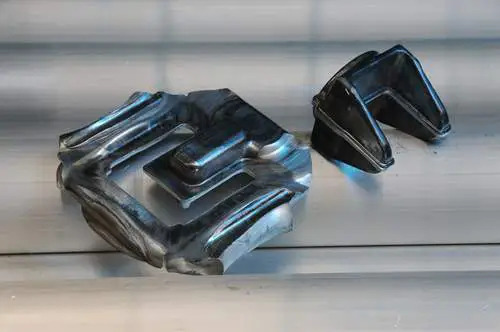 The die used in drop forging consists of two halves. The lower half part of die is fastened to the anvil while the upper half part is fixed to the movable ram. The heated bar or billet is kept in the lower die while the ram delivers four to five strokes (blows) on the metal. When these two die halves come together in closed alignment, the metal spreads and completely fills the die cavity. Production costs for drop forgings are changable due to varify on many factors. Currently in China, the prices for producing drop forgings are keeping increasing. Such inceasing can be caused by several factors, such as raw material costs, labour costs, etc. Below are the factors that cause the prices of drop forgings increasing briefly. The technique of drop forging has evolved over the ages and what began as an art form, where decorative objects were produced from precious metals, developed into a technically advanced manufacturing process, with an equally complex supply chain. Drop forging is now a major global industry, supplying high strength components for many of the world’s most innovative products and industries: automotive, truck & bus, defense, aerospace, and energy, which makes it imperative for buyers sourcing drop forged components to understand the process types, value stream map, technical advantages, and early supply partner involvement to effectively execute strategic procurement. Buyers should be well-versed within above key considerations before sourcing a forging to ensure sourcing success. There must be cross-functional team awareness on the true cost and not just the short-term piece price cost to ensure long-term drop forging supply success. 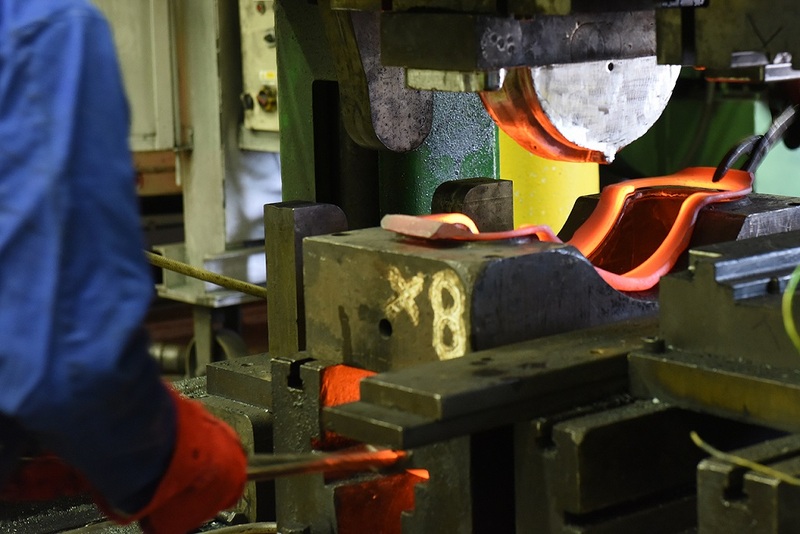 Drop forgings are unique and every case must be analyzed and clearly understood prior to starting the procurement process. Keep in mind these key considerations and you will be well positioned to offer your company the best supply options while driving down your drop forging true cost, which will create a win-win value and relationship across organization and supply partners.